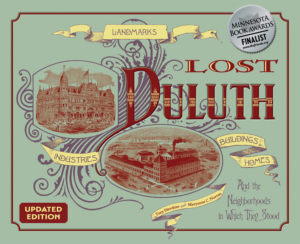 As early as 1873, John J. Costello had established a hardware store in Duluth, and in 1884 he hired George Wirth to design a new store specializing in general hardware, stoves, heaters, and works of art for the home. The two-story red brick building was adorned with patterned brickwork, carved Fond du Lac brownstone, and a metal cornice that featured brackets and dentils. The store doubled in size in 1891 when Oliver Traphagen and Francis Fitzpatrick duplicated the original style on the lot next door. 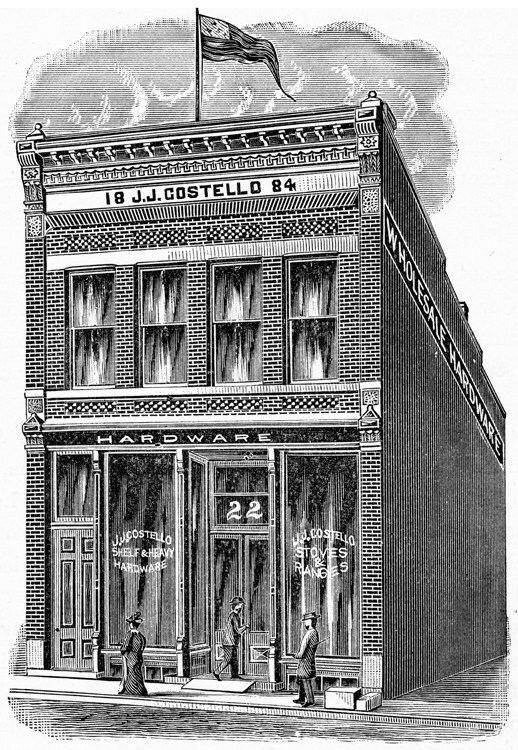 Costello, a Duluth alderman and sometimes acting mayor, conducted his business here until his death in 1892. By 1896 it was home to Kelley Hardware, which would later sponsor a professional football team, the Duluth Kelleys, the team that later became the NFL’s legendary Duluth Eskimos. After 1900 the Costello Block served several different businesses, including a paint store, an appliance store, an interior decorator, and Abalan’s Pianos. In April 2007 both sections of the still structurally sound Costello Block were demolished for a condominium development. After most of the housing units failed to sell, much of the brand new condo space was converted into the offices of P. S. Rudie and Associates, a medical practice.